In Irish folklore a Leprechaun is an elf that look like a wrinkled old man . 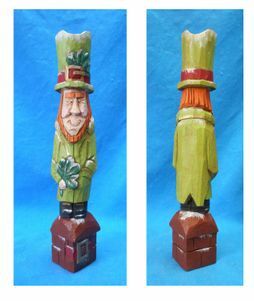 This unique Leprechaun is carved from basswood and is intricately hand-painted to enhance details. Measures: 2" x 2" x 9" h - from Basswood.